My kids are big gamers and when they first heard about Oculus Rift they were EXCITED! Then we learned that a very inexpensive piece of folded cardboard can simulate the Virtual Reality (VR) experience, and we had to get one! During my volunteer work for Hour of Code I brought our Cardboard to a 5th grade classroom and the kids absolutely LOVED it. 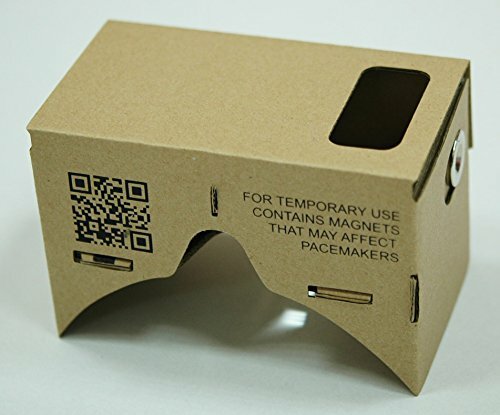 I thought Google Cardboard would make a great gift for Christmas to my Android and iPhone owning family members. Unofficial Cardboard (aproximately $15) was the device I chose. Although Amazon has several options available. There are two different sizes depending on the size of your phone/device. Cardboard - The official app by Google that includes a few fun VR experiences, including Windy Day, Google Earth and a tour of Versailles. Tuscany Dive - This is a great first experience into VR! You can explore in and around a villa in Tuscany. Look at your feet to begin walking, and away you go! Orbulus, for Cardboard VR - This app has several different photo spheres you can explore. To create an appropriate class for children you should keep record of all students, post regular updates on education process, etc. Click best google educations to find more information! Con Play Store v5.6.6, Google abrió las puertas para reforzar los límites de descarga, entre ellos la filtración en las búsquedas para mostrar sólo material apropiadoy la autenticación necesaria cada vez que se vaya a realizar una compra integrada en la aplicación desde una aplicación diseñada para niños. While I start to use the LG VR headset I relay surprised that this is so good and I can use it in any where with controlling. So thank you so much to share your experience in here because there are more people are know from here about this.